Guardians of the Galaxy co-writer Nicole Perlman vs. director James Gunn: Who deserves credit for writing Marvel’s surprise blockbuster hit? Who Deserves Credit for Guardians of the Galaxy’s Great Script? 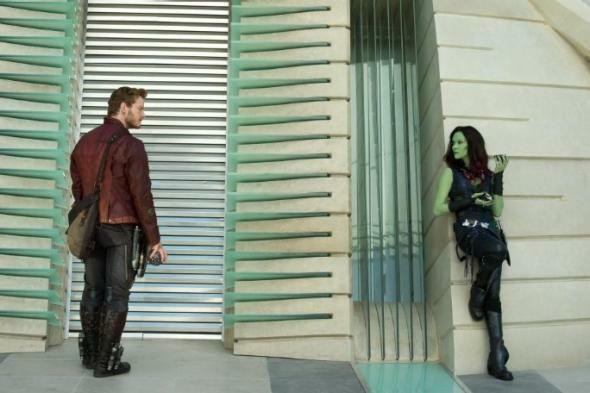 Chris Pratt and Zoe Saldana in Guardians of the Galaxy. Marvel’s latest film, Guardians of the Galaxy, has been a runaway hit, earning more than $90 million in its opening weekend. Critics are also enamored, lauding the movie for its quirky humor, which subverts the genre’s usual self-seriousness, and its taut and clever script, which was co-written by Nicole Perlman and director James Gunn. As several outlets have pointed out, though, “co-written” is perhaps not the most accurate term for how Perlman and Gunn divided their duties. Perlman—the first female writer credited on a Marvel film—spent more than two years combing through the obscure Guardians comics and drafting the film’s initial story. Gunn, known for helming offbeat hits like Super and Slither, then did an expansive rewrite, which he claims gave the film its irreverent sensibility and major character arcs. This co-writing-without-collaboration isn’t a novel situation in Hollywood, but Perlman and Gunn have given differing descriptions of their contributions to the final script. Is there beef between the two? Should there be? Even if their rapport is hunky-dory, it’s in question whether Perlman’s work was pushed to the background so Gunn could better assume the title of “writer-director.” This is a familiar conversation—it was just last year when John Ridley and Steve McQueen fought over the writing credit for 12 Years a Slave—but the Guardians controversy has an added layer: the question of whether gender played a role in designating, and publicizing, authorship credit. 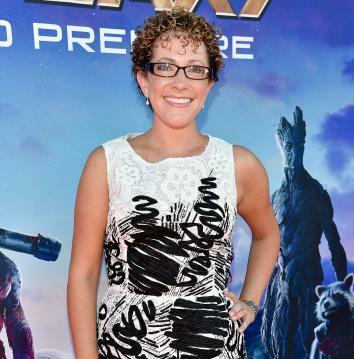 Screenwriter Nicole Perlman at the Guardians of the Galaxy premiere. That’s where things get a bit murky. According to the BuzzFeed piece, Perlman’s script did have a good story—good enough for Marvel to green-light its production—but that story doesn’t seem to be the one that ended up on screen. Gunn’s rewrite changed the major villain of the film, added several crucial secondary characters, and reshaped the dialogue to fit his comedic vision. Perlman hasn’t disputed those changes; in an interview with the Hollywood Reporter she noted that Gunn “definitely bumped the humor up and added some characters and deepened the scenes.” Her phrasing, though, implies that Gunn was merely honing her template, and that the central story and characters were entirely her creation. Gunn isn’t wrong—WGA rules are notoriously complex, and do, with good reason, protect first writers—but his impolitic putdowns of Perlman’s script aren’t too endearing. Still, I’m not convinced that there’s more at issue here than a known jerk continuing to be a jerk. Perlman’s work was primarily concept development and character selection. 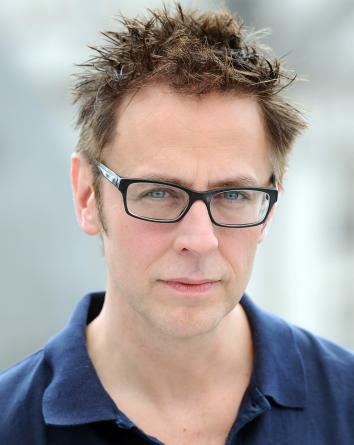 It seems safe to say that the film’s dialogue—specifically, the repartee and raunchy humor that audiences have been responding to—are Gunn’s additions, as they are fairly of a piece with his former work. That’s still conjecture, of course, but it’s also corroborated by Perlman, who has conceded that she is “not primarily a comedy writer, but it needed to be a comedic project. Like, this is a project that has always been irreverent. It’s always been tongue-in-cheek.” The rewrite of a writer-director was always expected. In this case, that writer-director happened to be one with a cohesive and crackling vision but a big and offensive mouth. That’s a separate problem. As Sady Doyle tweeted, there’s definitely some have-your-cake-and-eat-it-too cognitive dissonance occurring when Guardians is billed as the first Marvel movie written by a woman and the director is “constantly, publicly thrashing her script.” But Gunn, by all accounts, did write the majority of Guardians as it’s seen on screen, and Perlman, for her part, hasn’t suffered from a dearth of publicity. That’s as it should be—her work was fundamental to the film’s creation. A cynic could say that Marvel has trumped up her role to bask in PR praise, but I prefer the optimistic take: that Perlman’s credit, though marred by Gunn’s petulance, is a rare and deserved triumph that indicates slow headway in a male-dominated industry.